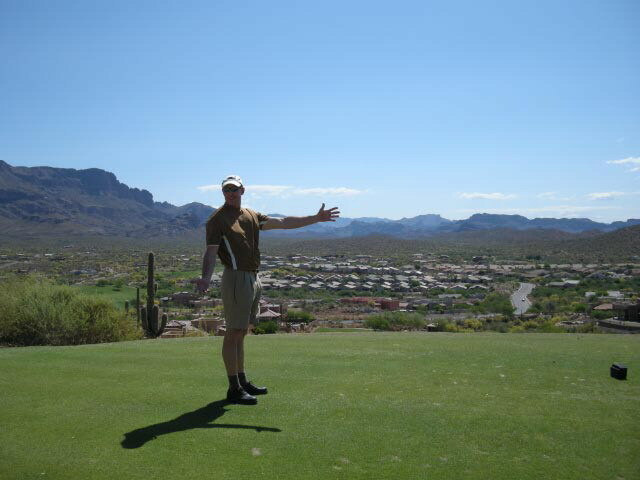 Posted by mkuhbock in AZ Real Estate News, Uncategorized. Some of my colleagues in the real estate industry have asked me what value does the Joint Ownership model have for them? Luckily there is an easy answer for that question. With Joint Ownership, purchasers do what many partners have already been doing for years, they share in the purchase and title of a property. What we do is provide the consulting, templates for usage and ownership agreements protecting the owners from possible pitfalls that could occur. With a well developed Joint Ownership model a group of buyers can now purchase the property they want, in the area they desire, with a fraction the capital investment, of the monthly expenses and the carrying costs. Real Estate Joint Ownership makes the purchase of vacation property possible for your clients! Joint Ownership is an acquisition model that allows the average family or investor the opportunity to participate in purchasing a vacation or investment property. What is in it for the real estate community? the time to invest in real estate! AZ Joint Ownership has created the templates, processes and agreements geared for today’s real estate market and most importantly the proper joint ownership agreements up front allow friends and family to stay that way! Together we can increase your prospect base, sales and referral income. and become a friend and fan on Facebook at http://www.facebook.com/azjointownership. Rarely do I post personal ramblings but for some reason I am possessed to do so. Last Wednesday we decided to take the day off of real estate and golf and go for a hike in the mountains. We chose to go hiking on a wonderful trail in Gold Canyon Weaver’s Needle Loop (Peralta Trailhead) that one of our partners recommended. The hike has a 4 rating and is not too difficult as we both do some type of exercise for and hour plus everyday. Well after about 20 minutes into the hike (straight up) we zigged instead of zagged on the trail and ended up deep in the middle of a tangled web of cactus and pointy bushes that cut the hell out of your legs…. now instead of doing the reasonable thing and head back we ventured on and up, after 45 minutes of mountain climbing we determined that we were screwed and not in a good way and continued on as we could no longer go back as some of the terrain we crossed was unpassable going in the other direction. Oh by the way, did I mention that I was wearing shorts……. Soon we decided to hack our way through the pointy and scratchy bushes to a very high point on the wrong side of the canyon (we actually had no choice to go in this direction, see earlier note). Now reaching the top I have determined that while bleeding profusely from a couple of hundred deep cactus scratches from my legs that I will NOT be beat by this mountain adventure! We finally are able to determine that we are now on the wrong side of the canyon which is painfully a long way from what we think might be the actual trail on the other side. So with fearless determination we set forth to cross the valley chasm in my blood soaked socks and red stained runners to reach the nirvana we call the “real trail” on the other side. After about another 20 minutes of rock climbing over 10 foot drops into a lush spread of cacti and other pointy bushes and bush whacking with the golf wedge I brought along to fend off snakes and mountain lions we actually reach the real trail on the other side of the canyon!!!!! We then proceeded to continue up for another hour but it was so boring as there were no prickly things you had to push through that made you bleed profusely. Thus we decided to head back down and go to the top another day when I wont have a squishy sound coming from my wet runners, blood is an amazingly loud and sticky substance! The trail is great and we will be back, we look forward to reaching the top the next time we are in Phoenix but make sure you keep right on the red rocks that start moving further up the mountain and not go left along the white wash that looks like the trail. Remember Red GOOD, White BAD!!!! In retrospect, I could have played an enjoyable round of golf, sat and had cocktails on the patio and had a lovely day….once again what the hell was I thinking???? Michael, the slowly healing adventurer. Posted by mkuhbock in Uncategorized. It was amazing how everyone was deceived and I wonder what is next around the corner…..
Posted by mkuhbock in Business Development, Integration and Technology, Uncategorized. Putting my management consultant hat on for a second, here is a wonderful video on the issues the vendor community has, especially in IT, with their prospects and customers. This is not really an exaggeration as I have seen far worse. An area where I have worked in my entire life, business development and the associated infrastructure within business development including but not limited to marketing, sales and operational excellence.